“The commitment to spending time together in an effort to discern where God calls communities of faith remains a perdurable character and one to be celebrated,” reflected Allen Jorgenson about past conventions and the recent Eastern Synod Assembly, in his blog stillvoicing. 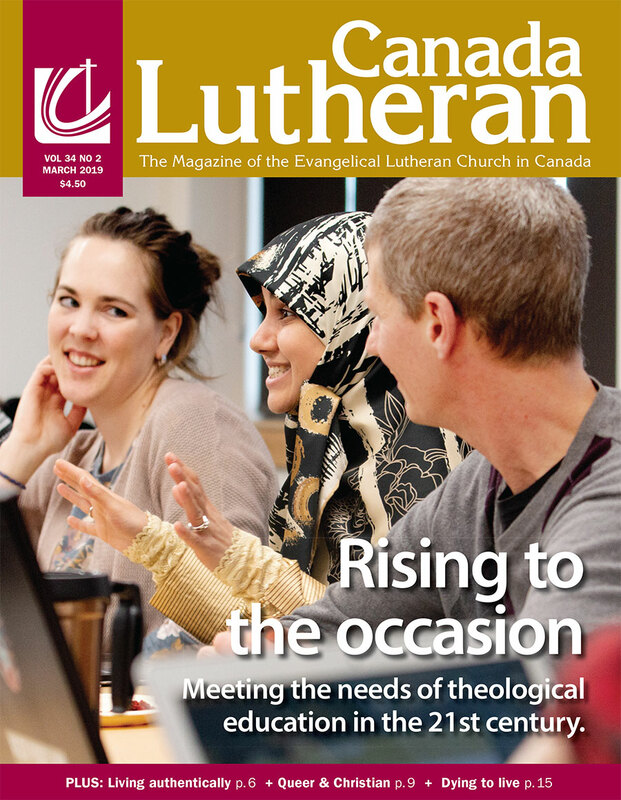 His observations capture some of the spirit of this issue as it anticipates threads, the Canadian Lutheran Anglican Youth (CLAY) gathering in August and reviews the conventions and assemblies of our synods. Our feature examines the nature of CLAY and the impact such events have. “This is a youth-centred program that empowers youth and develops leadership,” states an overview of CLAY gatherings. We interviewed four youth/young adults who have been involved in youth gatherings and will be part of CLAY 2018. We wanted to know how gatherings have helped to shape them and to listen to them discuss their perspectives about what it’s like for them to be young in our church today. We also interviewed Peter Reinhardt who has been very involved with youth gatherings but as he explained, “Having a wife and two kids and a job and a mortgage have led me to be less involved than I was. I cannot commit the same time and effort to CLAY, for example that I had been able to do in years past.” He discusses what such things as CLAY have meant to him and what he hopes they will still do for others (In Mission, p. 6). I too am a product of such nurturing events which also include church camps, campus ministry and local programming for youth and young adults. I found it intriguing to discover echoes of my own experiences and ideas when I was that age. At the same time their discussion made me mindful that I have become one of the elderly folk in their eyes and that we all are facing challenges in the church and our world that few of us could have anticipated. So it’s my turn and all those of us who are a bit or a lot older than they are need to listen carefully to what is on their mind and to help them find places among us where their emerging leadership can be empowered to shape our future together. My thanks to our synod editors for the extra effort they made to provide coverage of their respective synod conventions and assemblies for this issue. We are entering a new era in the life of our church and it is apparent that we are intentional about being In Mission for Others through God’s grace and guidance. Our Biblical Ancestors (p. 31) provides an intriguing portrait of the patriarch Isaac that may offer a potential path for those who have been victimized. You may also discover new depth and meaning to deepening your spiritual discipleship through study in a somewhat mind-bending approach (p. 15).